SmartSpace is smart cookware that fits on even the most compact stoves. Round pots waste a large portion of any cooking surface. 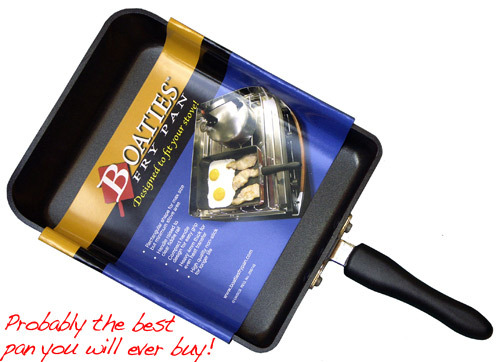 This can be particularly frustrating in cramped boats, motorhome and RV kitchens. SmartSpace cookware makes smart use of your cook top. The cookware not only saves space on the cook top, it also saves space in your cupboards! Designed to stack, each pot stacks neatly inside the next. 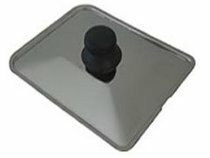 The revolutionary handle is removed and stored at the click of a button. SmartSpace can also be used to store food in your fridge. The clever steam venting system doubles as a seal for storing. The non stick surface makes washing up a breeze. Silicone mats; Place hot pots on mats to protect your benchtop. Use between pots when stacking to protect the non-stick coating. 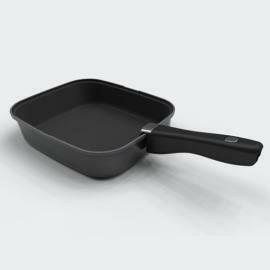 Also avilable is the Smartspace Frying Pan. 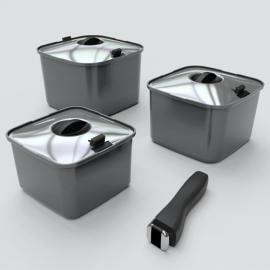 The pot set is designed to stack into it for compact storage.